If there is one place Tori Colvin shines the most, it’s handy hunter rounds. 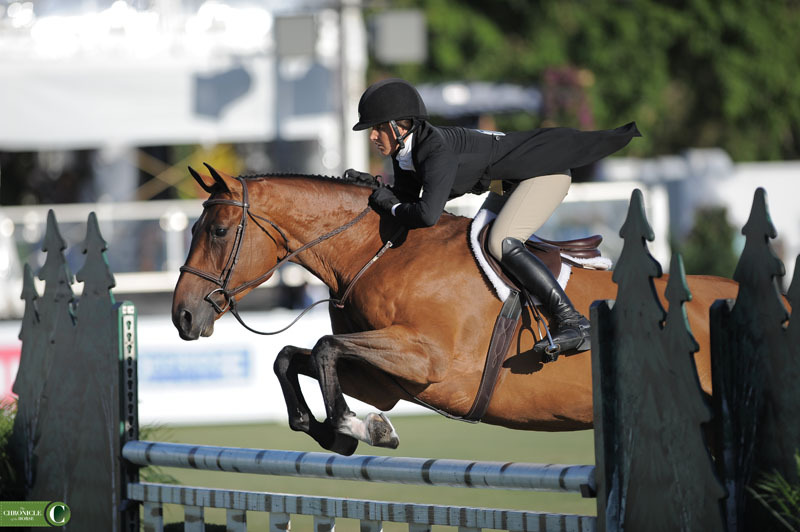 This is a rider who can turn on a dime without looking hurried and get a horse locked in on a fence out of a blind turn that would leave most other riders bailing out to one side or the other. 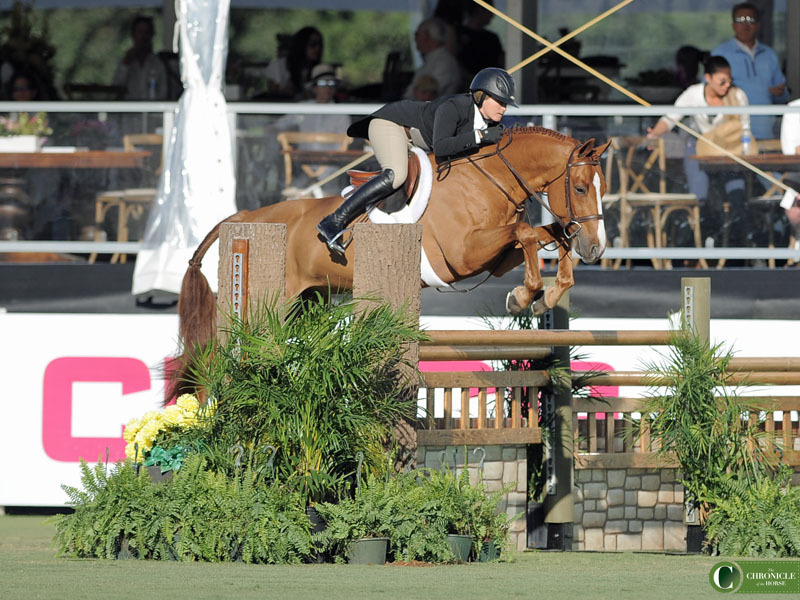 But when Colvin trotted back onto the field with Private Practice for the handy round of the $50,000 USHJA International Hunter Derby, she was already carrying a ten-point lead from her near perfect classic round that pulled scores of 92 and 94. She didn’t need to show off on any turns or even jump all the high options to secure the win. 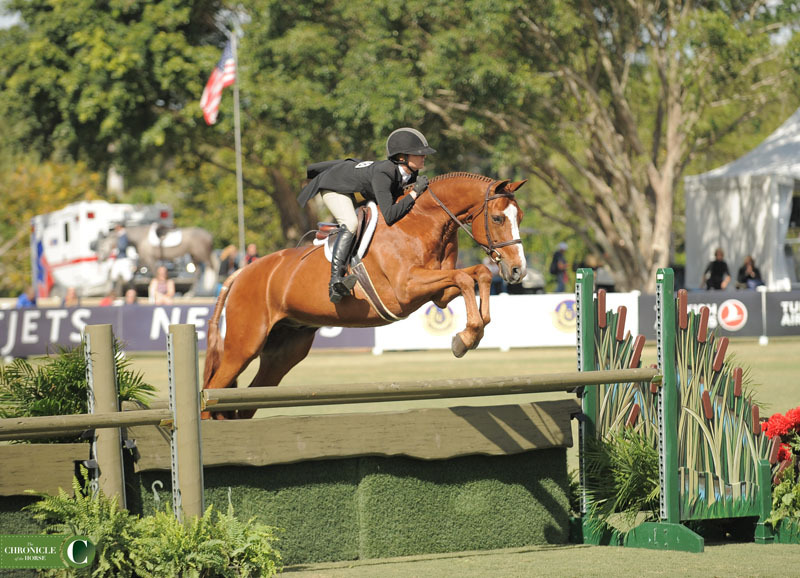 “Tom Wright who helps me with him said, ‘You know, if you have a really nice course, and it’s going well, jump the small [option] jump to the last,’ ” said Colvin, 20. 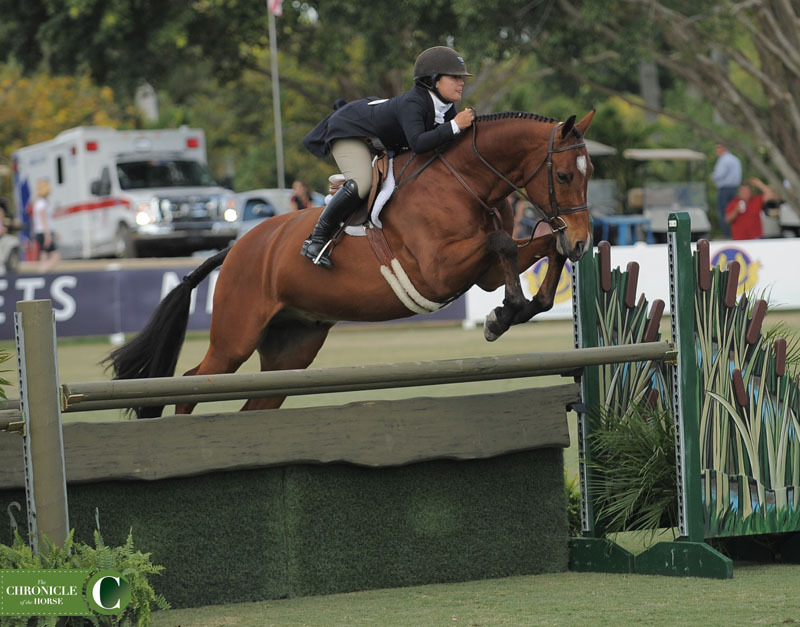 Tori Colvin and Private Practice had impressed the judges so much in Saturday’s first round (pictured here) that they really didn’t need to go for broke in the handy round. Photo by Ann Glavan. But then, that last tight rollback to the high option was just too tempting. 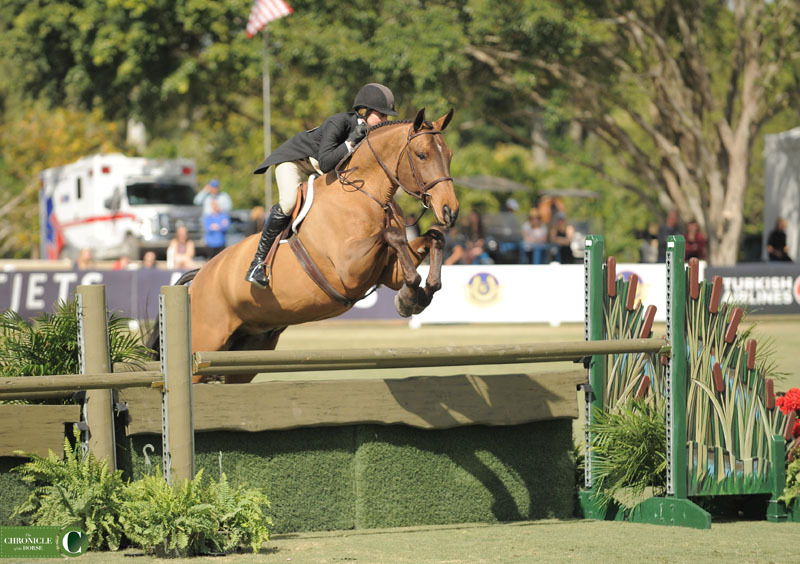 Colvin was spared thanks to Private Practice ratcheting up his already extraordinary form—the recent jumper ring convert already gives each fence about six inches of clearance—but he made an even bigger effort over the final fence, and it didn’t go unnoticed by the judges. This time he pulled base scores of 94 and 95 to cement his place at the top of the leaderboard with a 19-point margin. Tori Colvin and Private Practice on their way to a win in Round 2 and the overall derby title. Photo by Ann Glavan. Though Private Practice (Peter, in the barn) just switched over to the hunter ring, Colvin has thought the horse would be a great fit for more than a year. Colvin takes a victory lap with Private Practice. Photo by Ann Glavan. 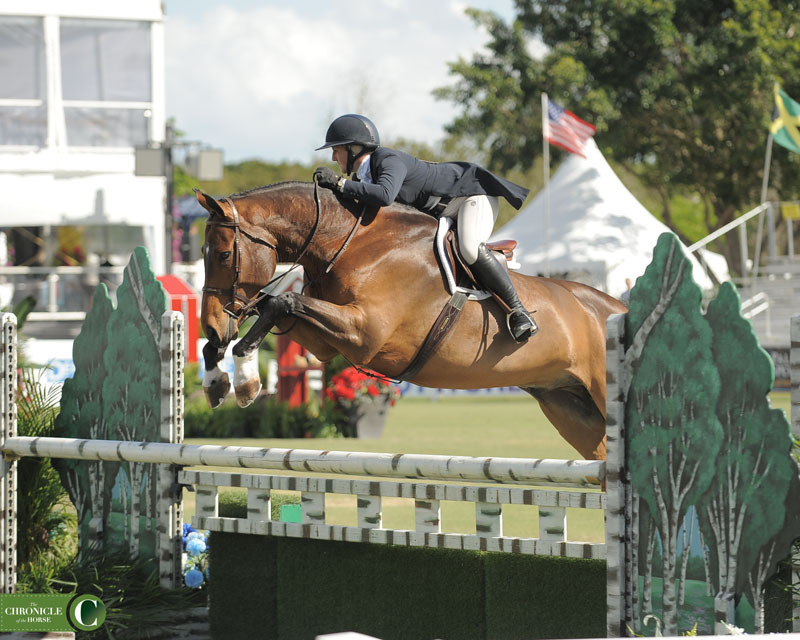 Colvin watched videos of the horse but didn’t try him until he showed up a year later in a junior hunter class with Madison Goetzmann. 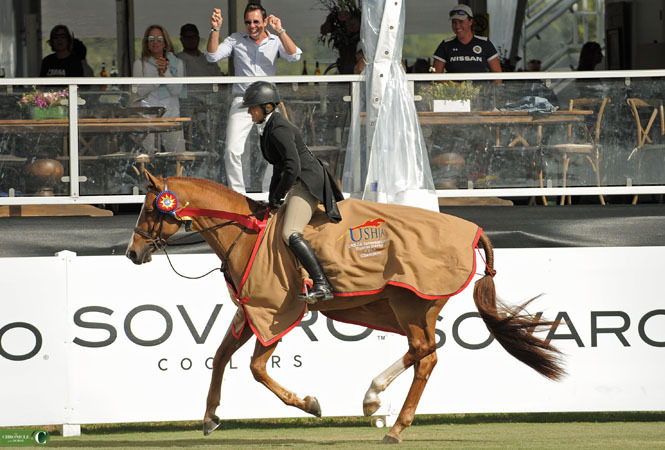 “I saw Goetzmann show him, and my mom goes, ‘That’s the same horse,’ and I went, ‘No way,’ ” Colvin said. Amateur-owner Brad Wolf, who boards with the Ingram family where Colvin trains and rides, tried the horse shortly after and bought him for Colvin to campaign. 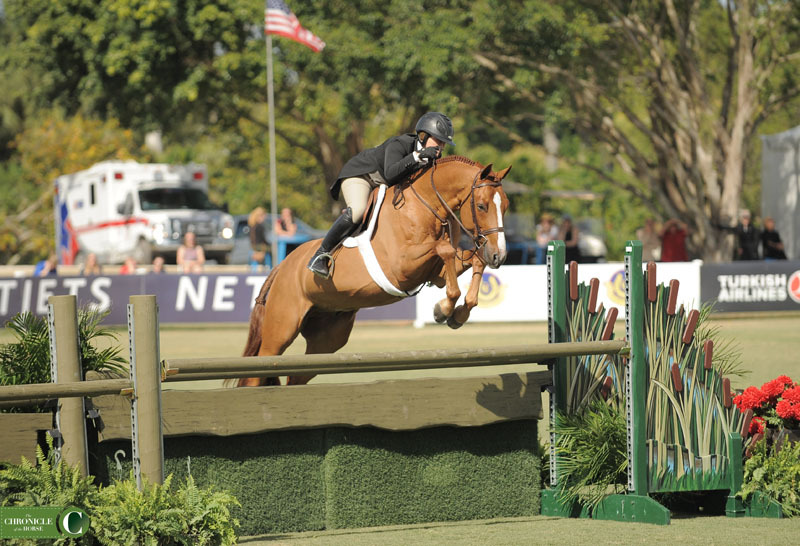 In their first week showing together Colvin and Peter qualified for this year’s $100,000 WCHR Peter Wetherill Palm Beach Hunter Spectacular. 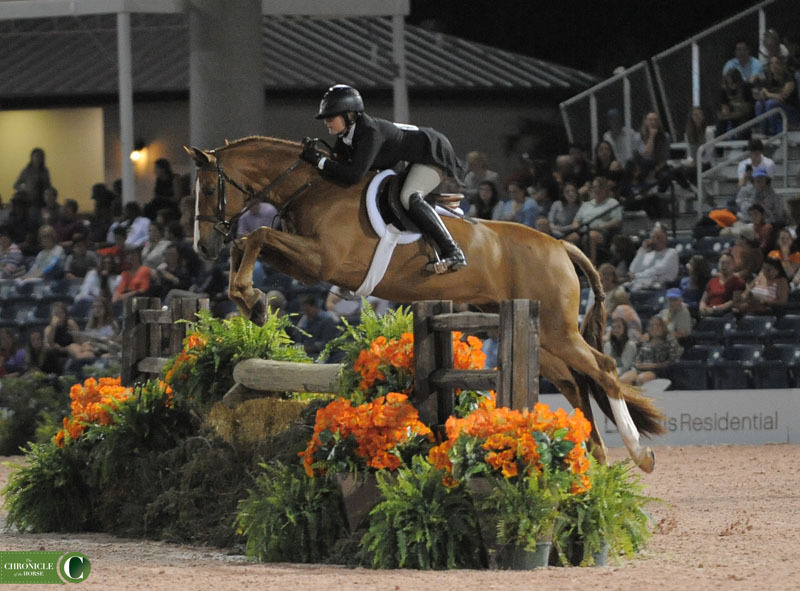 Private Practice and Tori Colvin jumping under the lights in the $100,000 Peter Wetherill Palm Beach Hunter Spectacular two weeks prior to their derby win. Photo by Ann Glavan. Colvin plans to continue campaigning Peter in the derbies and 3’9″ green hunter divisions before Wolf potentially takes the reins in the amateur-owner division next year. 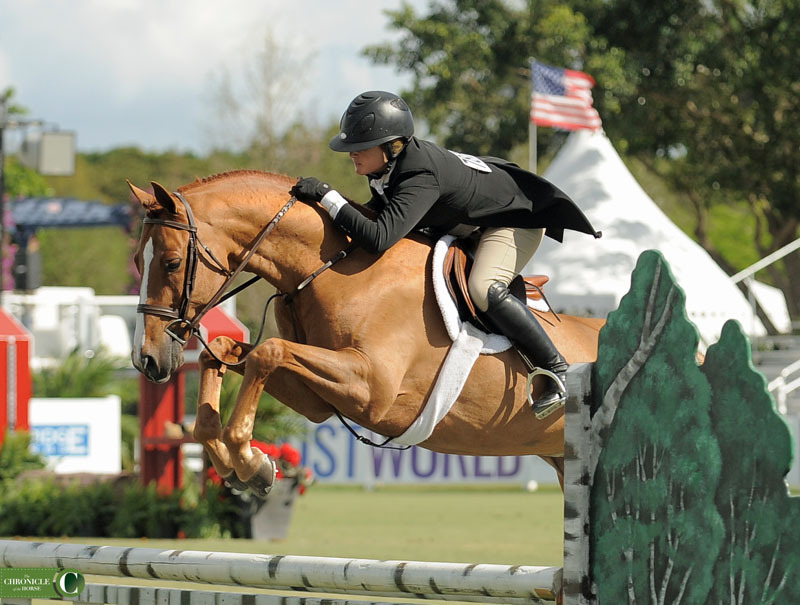 Tori Colvin and Private Practice secured the win in Deeridge’s $50,000 USHJA International Hunter Derby. Photo by Ann Glavan. Red Ryder and Hannah Isop took second. Photo by Ann Glavan. Amy Momrow and Aeroplane took third. Photo by Ann Glavan. In The Know and Samantha Schaeffer took fourth. Photo by Ann Glavan. Augusta Iwasaki and Vanderpump took fifth. Photo by Ann Glavan. Kensi and Kristy Herrera took sixth. Photo by Ann Glavan.